Abu Zubaydah, a man once called al-Qaeda’s “chief of operations,” appears to be at the center of an unraveling of the official myth behind al Qaeda. 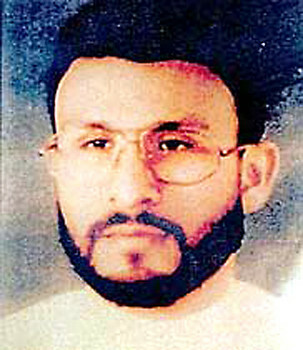 After his capture in early 2002, Zubaydah was the first “detainee” known to be tortured. The information allegedly obtained from his torture played a large part in the creation of the official account of 9/11 and in the justification for the continued use of such torture techniques. Yet in September, 2009, the U.S. government admitted that Zubaydah was never a member or associate of al Qaeda at all. These facts raise an alarming number of questions about the veracity of our knowledge about al Qaeda, and the true identity of the people who are said to be behind the 9/11 attacks. Because we now know that Zubaydah was never an al Qaeda operative, or even an al Qaeda associate, we are forced into the stunning realization that all of this was false. The questions that should arise from that realization include: How much of what we know about al Qaeda, and how much of the War on Terror, was built on the torture testimony of a man who clearly could not have known anything about al Qaeda at all? Now that the US government has admitted that it has no case against Abu Zubaydah and that he was never associated with al Qaeda, will they release him? As attorney Mickum requested, will his client be allowed to tell his own story? More importantly, will the official accounts of 9/11 be reviewed to extricate claims allegedly made by and about Zubaydah so that those false claims do not to provide additional false direction in War on Terror? Yours is the first article I have read of this since truthout March 30. 2010. [Jason Leopold]. As with any post 911 revelation at odds with ‘the narrative’ [Sarasota safe house just lately] there will doubtless be very little official response. It will seamlessly wash into the craziness we are enduring under this terror mantra . However. This is a major rewrite and who knows what will trigger the avalanche. That the Zubaydah component can be so completely deconstructed opens the entire 911 OCT conspiracy up to the next layer of those struggling with the anomalies already exposed . What about Zubayda’s memorized phone numbers of 3 Saudi Royal princes who all mysteriously died in early spring of 2002? Original FBI agents in Thailand lied to him when he awoke after surgery for his wounds at capture. They told him he was in Saudi Arabia, since it was a well-known practicioner of torture, hoping he would volunteer more information to avoid said torture. Instead, what they got was a warning, “if you want to keep your jobs, you’ll call these 3 numbers”..they checked the numbers, indeed they belonged to the 3 soon-to-be-dead princes. All this is detailed in the books by Mike Rupert, Peter Lance, & several others. Ample footnotes are provided. Names,dates, places and detailed descriptions of Zubayda’s wounds verify the story. His attitude was one of relief when he thought he was in the hands of Saudi Arabia. His subsequent waterboarding seems to me an effort to find out WHO ELSE ? ?knew these numbers..Since the 3 princes were eliminated, we have to unravel the thread back thru the Royals, their allies in Kuwait & UAE to Barry McDonald,Tommy Boggs,Wirt D.Walker,Ted Shakley,Robert Sensi, Kuwait American Corp.,Strategic Corp.,E.S.Bankest & Eduardo &Hector Orlansky, & Kuwait Hamza Benbehan, Faisal AL Fulaij, & oil minister Abdul Rahman al Atiqi..No doubt trail would lead back to Cheney, Rumsfeld, & the entire Bush Clan..No doubt also to Grinnell Corp., General Richard Myers & his conspirators at NORAD. Fellow travelers PNAC & AIPAC are also likely suspects. The greediest co-conspirators who shorted stock in UAL, United, Meryl Lynch, etc.could also be unraveled thru SEC records of stock transactions on Sep. 9 & 10. The list of moles in the intelligence agencies would be long & hard to unravel, but starting with the honest members of Army Intelligence team “ABLE DANGER” the cover up begins to fall apart. The career of US Green Beret/Al Queda operative/double agent-provacateur should provide the remaining clues. From the Rabbi Kahane killing, thru 1993 WTC attack,thru the 2 African embassy bombings, USS Cole, Ali Mohammed is right there. He remains in-communicado in NYC jail. All these threads need pulling on. The Internet could be the tool to scare the corporate media types & compliant office holders in Congress to bail out on the conspiracy in order to save what’s left of their reputations. A ” National Reconciliation” similar to that of South Africa would go a long ways to heal the wounds. Minor players could be offered forgiveness in return for testimony against the principals. The urge to waterboard Cheney should be restrained until the nation is satisfied he has given us all the names. Check G.H.W Bush’s Christmas card list..most of the names will be there. The innocent should be easy to identify.